Visit Eastern Beach Reserve and Sorrento Front Beach for some beach relaxation. Get a sense of the local culture at Shrine of Remembrance and Art Gallery of Ballarat. Explore Melbourne's surroundings by going to Torquay (Bells Beach & The Great Ocean Road), Ballarat (Ballarat Wildlife Park, Ballarat Botanical Gardens, & more) and The Food Purveyor (in Geelong). Spend the 23rd (Tue) wandering through the wild on a nature and wildlife tour. Dedicate the 14th (Sun) to wine at some of the top wineries in the area. There's lots more to do: relax and rejuvenate at some of the best spas, admire the natural beauty at Royal Botanic Gardens, examine the collection at Melbourne Museum, and appreciate the views at Healesville Sanctuary. To find ratings, other places to visit, more things to do, and tourist information, use the Melbourne trip itinerary planning app . Brisbane to Melbourne is an approximately 4.5-hour flight. You can also do a combination of bus and flight; or drive. In April, Melbourne is a bit cooler than Brisbane - with highs of 23°C and lows of 11°C. Cap off your sightseeing on the 27th (Sat) early enough to travel to Sydney. Escape the urban bustle at Bondi Beach and Wentworth Falls. You'll discover tucked-away gems like Kiama Blowhole and Canyoning & Rappelling Tours. Explore Sydney's surroundings by going to Katoomba (Bridal Veil Falls, Blue Mountains, & more), Shelly Beach (in Manly) and Kiama (Starfish Education Centre & Saddleback Mountain Lookout). Spend the 14th (Tue) exploring nature at Bouddi National Park. Spend the 11th (Sat) exploring nature at Bradleys Head Trail. 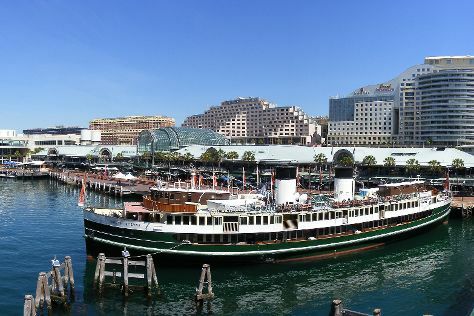 There's still lots to do: take a stroll through Darling Harbour, tour the pleasant surroundings at The Opera House to the Botanic Gardens Walk, get to know the fascinating history of The Rocks, and hike along Manly Scenic Walkway. To find traveler tips, photos, more things to do, and tourist information, refer to the Sydney trip maker . Traveling by flight from Melbourne to Sydney takes 3.5 hours. Alternatively, you can do a combination of shuttle and flight; or drive. Plan for a bit warmer nights when traveling from Melbourne in April since evenings lows in Sydney dip to 17°C. Wrap up your sightseeing on the 15th (Wed) early enough to travel to Brisbane. 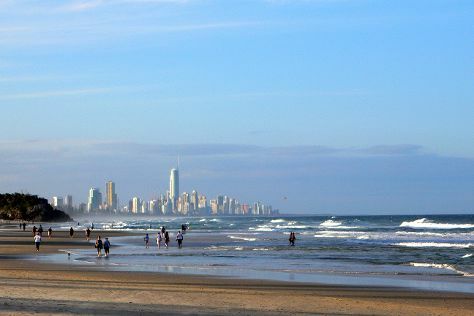 Step out of the city life by going to Coolangatta Beach and Scuba & Snorkeling. Relax by the water at Burleigh Heads Beach and Kirra Beach. Explore Brisbane's surroundings by going to Tweed Regional Gallery & Margaret Olley Art Centre (in Murwillumbah), Caloundra (Kings Beach & Bulcock Beach) and Tweed Heads (Chris Cunningham Park & Flagstaff/ Duranbah Beach). Spend the 20th (Mon) exploring nature at Natural Bridge. On the 27th (Mon), dedicate a day to the elevated beauty of Main Range National Park. And it doesn't end there: trek along Mary Cairncross Scenic Reserve, kick your exploration up a notch at some of the top local zipline courses and adventure parks, explore the striking landscape of Springbrook National Park, and kick back and relax at Maroochydore Beach. Getting from Sydney to Brisbane by flight takes about 4 hours. Other options: do a combination of flight and bus; or drive. May in Brisbane sees daily highs of 27°C and lows of 15°C at night. Wrap up your sightseeing by early afternoon on the 31st (Fri) to allow enough time to travel back home.